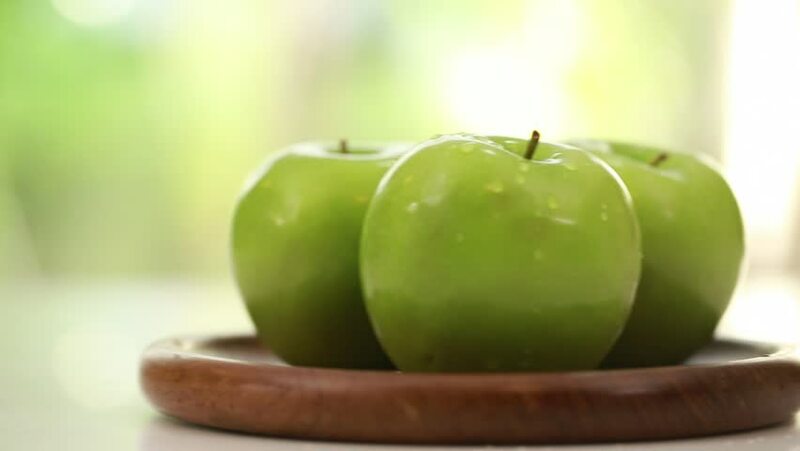 Green apples in the wooden plate. Dolly shot. 4k00:11Green apples on white with drops of water. Pan right.